The only place on Earth inhabited by highly endangered mountain gorillas is the Albertine Rift Montane Forest of Uganda, Rwanda, and the Democratic Republic of Congo. The densely forested slopes are home to the planet's 786 rarest primates, who cannot survive in captivity. The mountain gorillas' long, dark hair reflects the chilly high-altitude habitat that distinguishes them from their lowland cousins. At any given time, approximately half of the world's mountain gorilla population can be found inside Bwindi Impenetrable National Park, a UNESCO World Heritage site in southwestern Uganda at the base of the Rwenzori Mountains. 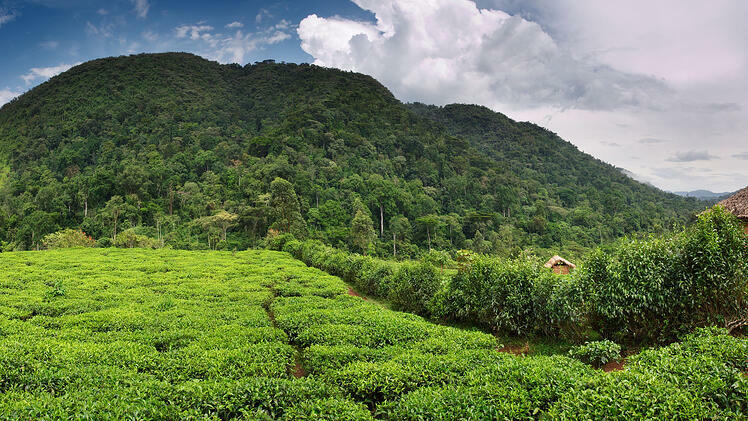 Bwindi means "darkness," an adequate name for a forest whose massive canopy filters the majority of equatorial sunshine. Furthermore, "impenetrable" couldn't be a more fitting title given the unyieldingly thick foliage and absence of clearings that make it nearly impossible to enter without a machete. Although gorilla trekking in the Bwindi Impenetrable Forest is rigorous and can be cold and wet, the surreal face-to-face moments with some of the planet's most enchanting creatures make the challenge more than worth it. Each day, the Uganda Wildlife Authority grants a 60 minute visit with a Bwindi gorilla family to eighty people. A permit costs $600, an ecotourism contribution which, according to UNESCO, "may be the only hope for the future conservation" of the park's mountain gorillas and forests. Agencies begin buying up permits up to two years ahead of time, so it's important to plan your Uganda safari well in advance. 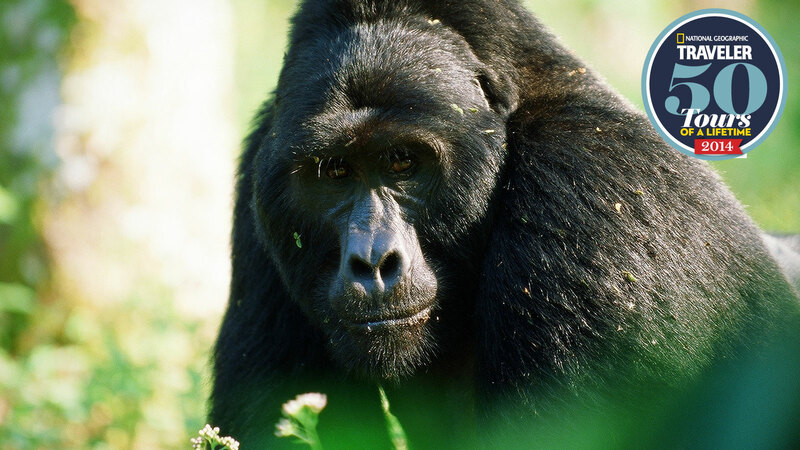 The Gorilla Habituation Experience is an exciting new project involving conservationists, rangers, and biologists whose intention is to help the Bwindi mountain gorillas become more comfortable with humans. Habituation permits are available only in Uganda, and the cost is $1,500 for four hours with a gorilla family. Only four people can go on a habituation trek each day, so it's advised to book at least six months in advance. Access to Bwindi National Park always involves four-wheel drive for at least a few hours. From Uganda's only international airport in Entebbe, it’s possible to fly in and out of an airstrip on the park's edge. The quick flight provides an excellent way to save time and streamline a Uganda tour package that also includes Tanzania and/or Kenya. If you have the time and would like to see more of western Uganda's unparalleled biodiversity, go by car from Entebbe up to Kibale and Queen Elizabeth National Park to see chimpanzees and hippos, and from there make the 2-3 hour drive south to Bwindi for the grand finale. Gorilla trekking is possible at any time of the year, but conditions are most comfortable during the dry seasons: June to September and December to February. December is by far the busiest month, while February and September balance fewer crowds with dryer conditions. The rainy season, March to May and October to November, isn't without perks. Prices drop and crowds clear out. April and May are the wettest and muddiest, but the sun comes out shining after each rain. Furthermore, there is lots of gorilla food at lower elevations and trekking times shorten to 45 minutes as opposed to climbs that last up to three hours during the dry season. 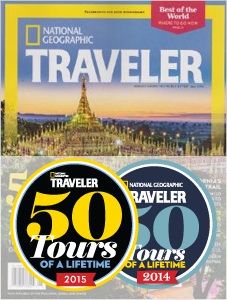 Regardless of the season, demand for gorilla trekking permits and lodging is always high. In sum, it's impossible to plan a Uganda safari to Bwindi National Park too far in advance!